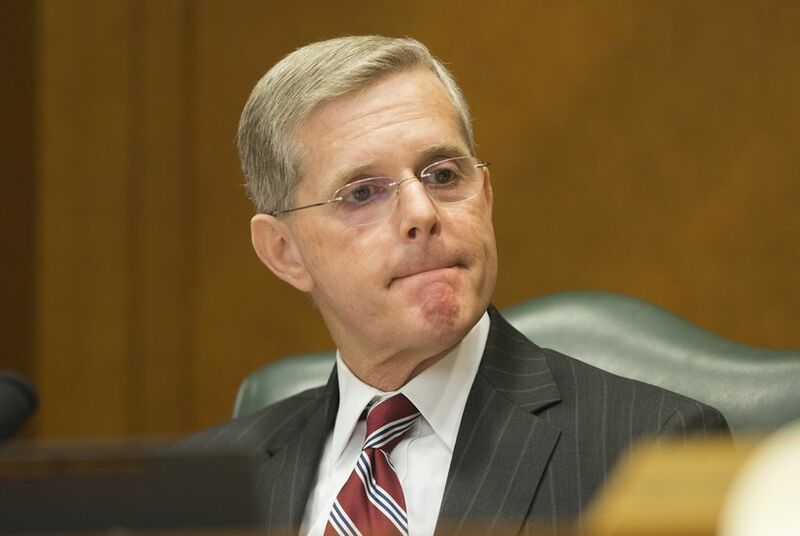 With the next legislative session on the horizon, lawmakers on Tuesday began debating the notion that Texas should join a call for a convention of states to amend the U.S. Constitution, a prospect possible only if two-thirds of states sign on to the idea. In his book “Broken But Unbowed,” Abbott wrote that states must use powers granted to them in Article V to amend the Constitution. “When measured by how far we have strayed from the Constitution we originally agreed to, the government’s flagrant and repeated violations of the rule of law amount to a wholesale abdication of the Constitution’s design,” he wrote in a 90-page proposal in January. By law, 34 states must ask for a constitutional convention before it can convene, and any amendments it promulgated would require the support of at least 38 states to become law. The governor is set to ask Texas lawmakers to approve a call for the constitutional convention in the 2017 session. A similar bill passed the Texas House in 2015 but died in a Senate committee. Committee chair Rep. Phil King, R-Weatherford, seemed to support a renewed effort in the next session. Anthony Gutierrez, executive director of Common Cause Texas, spoke out against the prospect in a statement issued after the hearing. According to Gutierrez, a constitutional convention would be unpredictable because there are no rules governing the process. The last convention was held in 1787, which resulted in a new Constitution. In addition, no legislative, judicial or executive body would have clear authority to settle disputes. “With no rules and the influence of special interests, a constitutional convention would put every Americans’ basic civil and constitutional rights up for grabs,” he said. Rep. Travis Clardy, R-Nacogdoches, said he was open to supporting an Article V convention but reminded members that many critics are fear a runaway convention. “It should be extraordinarily difficult to pass these things,” Clardy said. “It’s quite a strong supermajority requirement embedded in Article V,” Oldham said, adding that it would be difficult to garner enough attention from state legislature’s to move forward with a convention and a new amendment. Texas Gov. Greg Abbott published his first book, "Broken But Unbowed," which recounted his life story and advanced his push for a convention to amend the U.S. Constitution. In a fresh — but long shot — assertion of states’ rights, Gov. Greg Abbott is calling for a convention of U.S. states to pass nine new amendments to the U.S. Constitution. Less than a year and a half into his term, Gov. Greg Abbott appears to be following a path traveled by his two predecessors — write a book, raise your profile and then?